What a plaque says is important. The plaque lasts a lifetime or more, and the message is practically forever. 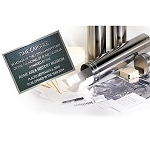 Your plaque not only identifies you and your project, but it presents and promotes your message for a long time. 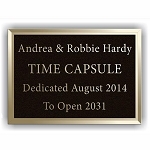 I can tell you that most plaques identify the name or organization, the event reason (in our case, the phrase TIME CAPSULE), date of event (or time capsule placement or dedication), and date of intended opening of the time capsule. It is popular to also put a logo, tag line or phrase if there is enough space. Here are some examples of what others have done. 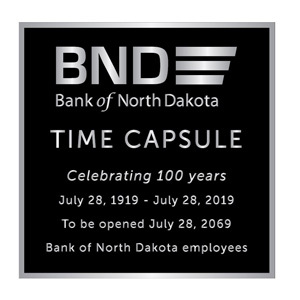 The Bank of North Dakota is celebrating its centennial in 2019. Its plaque has a current logo, which identifies the organization. 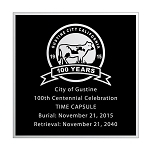 Next is the event, TIME CAPSULE, followed by what it celebrates (100 years). Next, it has simply a founding date (July 28, 1919) and placement date (July 28, 2019). The line below has instructions for suggested opening of the time capsule (July 28, 2069). The last line shows that it is being placed by (or for) the bank's employees. This plaque is aluminum, the size is 12"x12", and it has a single line border with black background. Next, you can see an example of a school plaque. 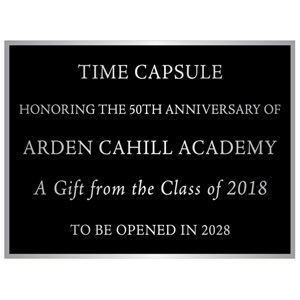 In this plaque, you see the phrase TIME CAPSULE on the first line, and its purpose (honoring the 50th anniversary of the academy) on the second line. The name of the school is on the next line, and this is followed by the tagline 'A Gift from the Class of 2018'. The opening date for the time capsule is on the last line. This plaque measures 8"x6" and features a single line border and black background. 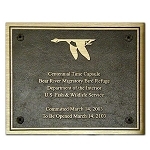 With a small plaque, it is often a challenge to fit the wording in so that the plaque can be made. Just because you can print your message on paper does not mean it can be cast or formed in metal. All capital lettering is easier to fit than both upper and lower case lettering, since the minimum size is 1/4" vs. 3/8". 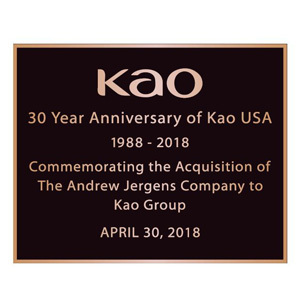 With this plaque, Kao commemorated its 30 year anniversary in 2018. The logo is on the first line, followed by what it is celebrating (30 year anniversary) on the next line. The span of years from its founding to now is on the third line (1988-2018). The next lines are a message of remembrance that 2018 was the year they acquired the Jergens Company. Such a message will take up to 3 or 4 lines. The last line is the dedication date or event date. This plaque measures 10"x8". It is bronze and features a single line border and dark oxide background color. All these plaques have a blind mount, which means the hardware is fitted into the back of the plaque when you place it. We recommend that if at all possible, be general, not specific. 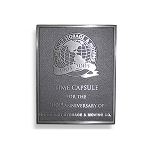 Consider using the year instead of a specific dedication date for a time capsule, for instance. Last minute changes to event dates are more common than you think. Sometimes, a simple message is all that you might want your plaque to say. 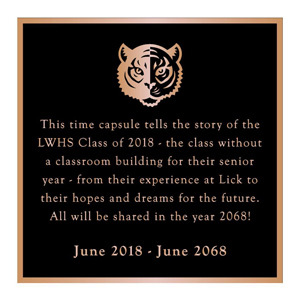 In the example of the plaque for Lick Wilmerding High School, its 12"x12" bronze plaque began with its simplified logo. Then a paragraph of dedication to the graduates of the year and as a final line, the span of dates from dedication in June to 2068, when the graduates will have their 50th reunion. By not specifying the exact date but rather, simply 'June', they not only give themselves some breathing room as they decide on a dedication date, but they also give the future group the respect of deciding on the date they wish to open the capsule. I have also seen the season instead of even the month. You can specify Spring 2018, for instance, instead of an exact date. Of course when the date of founding is important, as in the case of July 4, 1776, you will want to note that! 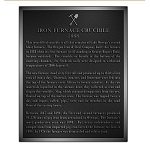 Large plaques are 10x14, 14x14, and 16x16"
Choose a large bronze plaque in 14x10, 14x14, or 16x16! Paper Secrets: What is the Best Paper for Long Term Storage? Believe in Your Time Capsule!